President Donald Trump instructed photographers to make him and North Korean leader Kim Jong Un look “nice, handsome, and thin” after their working lunch during the summit in Singapore on Tuesday. “Very nice. Getting a good picture everybody, so we look nice and handsome and thin? Beautiful. Perfect,” Trump said. 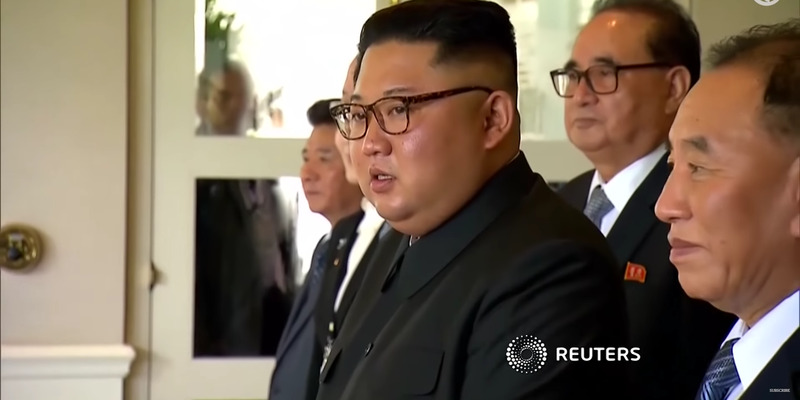 While there were translators present, it’s likely Kim understands much more English than he lets on, according to one of his former high school teachers.